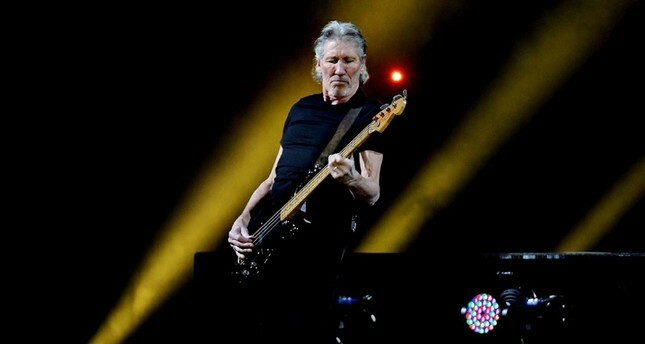 Legendary rock band Pink Floyd's co-founder and former bass guitarist of the group Roger Waters, who is known for his political activism, is planning to target U.S. President Donald Trump's recent actions by performing the group's revolutionary "The Wall" album on the U.S.-Mexico border where Trump plans to build an actual wall to stop illegal immigration. The famous English rock musician and songwriter announced his plans to play The Wall album in its entirety on a stage to be erected somewhere along the border. Waters however, said that it will only be possible after an "awakening against these far-right policies." The performance, if it takes place, will be his second live performance of the full album in a place referring to an actual wall — the first of which was staged in Berlin in 1990 with the attendance of 450,000 people, eight months after the demolishment of the Berlin Wall that separated West Berlin from East Berlin and East Germany during the Cold War. The 75-year-old musician has repeatedly criticized Trump's policies on and off the stage, especially those about his "border wall", which was one of the U.S. president's major promises in his 2016 election campaign. Waters even went as far as using photoshopped images that showed Trump in a Ku Klux Klan hood or with a Nazi salute during his shows. His mockery of Trump received backlash from many for going too far. When asked in an interview with the CNN in 2017 about the negative reactions he received from doing the stunts on his tours, Waters gave another controversial answer, saying those who criticize him should "go see Katy Perry" instead. Born in 1943 in the United Kingdom, Waters co-founded the progressive rock band Pink Floyd. He serves as the bassist of the group, and following the departure of the group's lead guitarist and songwriter he started to play the roles of lyrics coleader, vocalist and conceptual leader of the Pink Floyd as well. After the group was dissolved, he continued his career as a solo artist.